I went to sleep last night surrounded by precariously balanced piles of our belongings. I seemed to get the camping equipment and home brew kit on my side, while Big Dreamer contended with tins of paint and Christmas decorations. We cleared out our loft at the weekend ready for it to be converted. Our bedroom is now a teetering mass of atticness. The conversion is incredibly exciting but also a bit nerve-wracking. Big Dreamer has assured me it can’t happen, but what do we do if, when they put in the big steel girder that will support the new floor…the whole house falls down?! I’ve decided not to think about it. In the mean time it was very cathartic clearing out the loft. I have found that something weird happens to you when you move around a lot, particularly between rented houses. You end up with lots of ‘what-if’ stuff. This is all the stuff that doesn’t currently fit anywhere in your house but either has fitted in a previous house or might fit in a future house. We learnt quickly not to alter furniture or throw things away because you could guarantee you’d need it in the next place. I still shrivel up inside when I think of an oven we let go of for £50. Anyway, at the weekend we got all our ‘what-if’ stuff down out of the loft; all the things that we hadn’t had the emotional energy to make a decision about when we moved in. And we got rid of it! Because we are never moving again! The relief sort of engulfed us in a lovely cleansing flood. We positively skipped out to the car with armfuls of ‘what-if’ stuff that can now go and serve a useful purpose in someone else’s house. There will be no post from me next week as we’re off to London to see family and friends for half-term. The builders will be making a start while we’re away…I hope we have a house to come back to. Not thinking about it! Not thinking about it!!! Anyway, I’ll see you the week after! The illustrations here are from a recent commission from the science education charity Centre of the Cell about the heart. 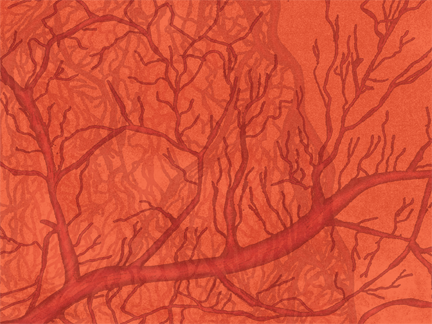 It was a lovely brief to work on and I discovered that I really like drawing blood vessels. 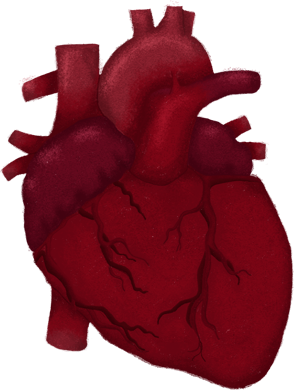 This entry was posted in Illustration, Making changes and tagged biology, blood vessels, centre of the cell, children, education, Hannah Foley, heart, illustration, illustrator, non-fiction. Bookmark the permalink. Enjoy the London trip & hope all goes well with the building work. It’s very satisfying decluttering isn’t it? I know the lovely feeling of ‘this is where we’re staying’ & how you can really relax finally & make a home your own. How lovely that you’re nearby with the same aim.